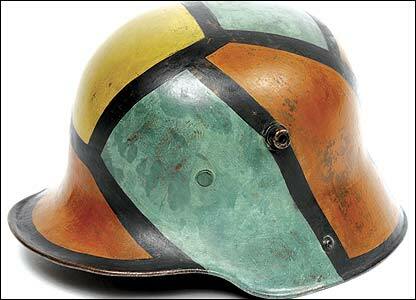 The exhibition features a German World War I steel helmet painted in disrupted pattern. 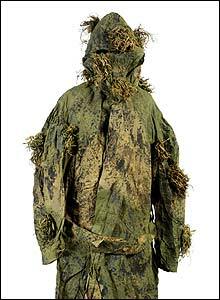 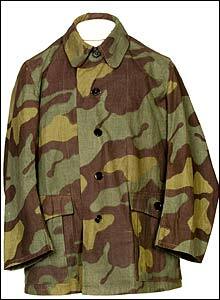 Elaborate camouflage smocks were created for snipers during World War I.
Italy led the way with mass-produced camouflage uniforms from the late 1920s. 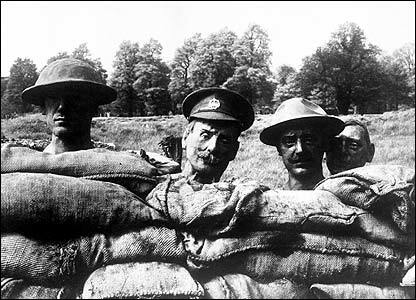 Papier-mache dummy heads were used by the French and British to trick snipers in the trenches. 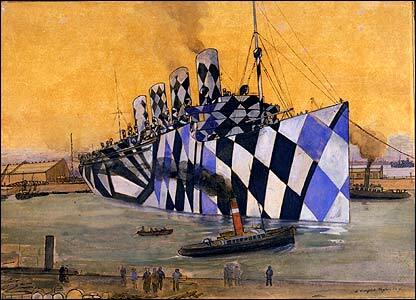 The harlequin Dazzle pattern on the HM Mauretania is one of the most striking at the exhibition. 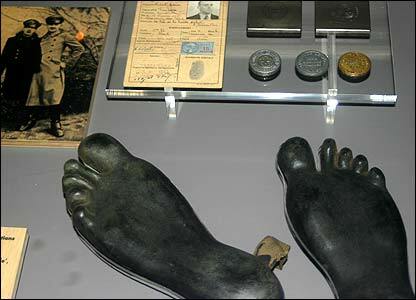 Britain's World War II Special Operations Executive developed these rubber feet for agents landing on beaches. 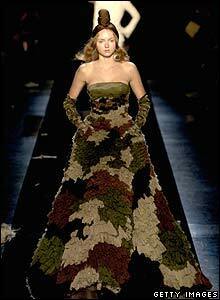 This Gaultier dress is on show at the exhibition along with art by Andy Warhol and others. 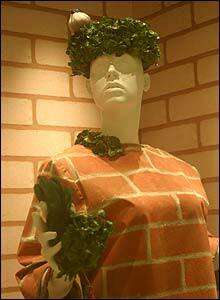 "Urban camouflage" costumes from David Byrne's film True Stories make a surreal exhibition even more so.